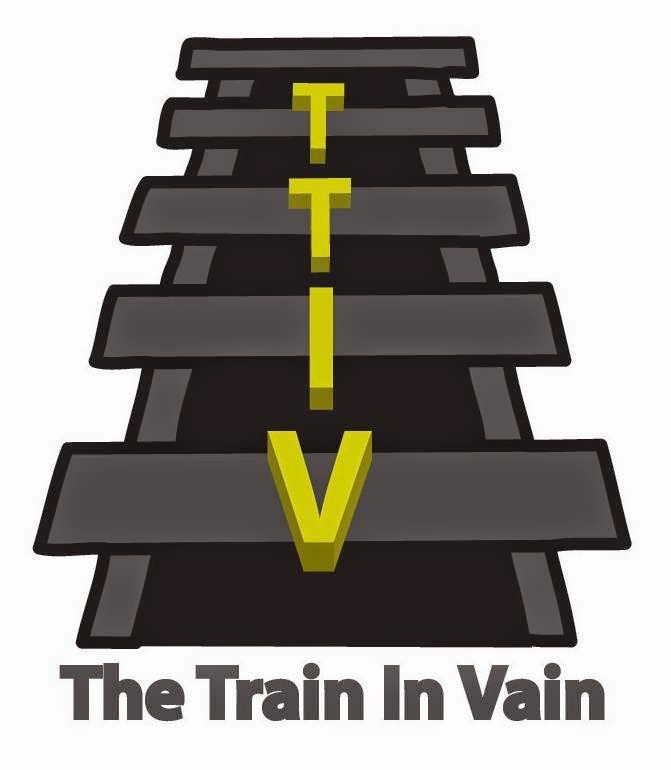 Today's TTIV post comes from Marsh, our Metro-North Correspondent. Marsh will soon helm our Eastern Pennsylvania Bus Bureau, as he is headed for greener pastures. In the midst of a moving transition, this seasoned commuter has had to relearn some ropes. In prior TTIV posts you've read about “Rookie Mistakes,” where new commuters failed at seemingly fundamental tasks. As a long time commuter and big time football fan, I’ve noticed similarities between the blunders made by inexperienced commuters and those made by young quarterbacks. Recently, I embarked on a 2-3 week stint taking a new route to the office. 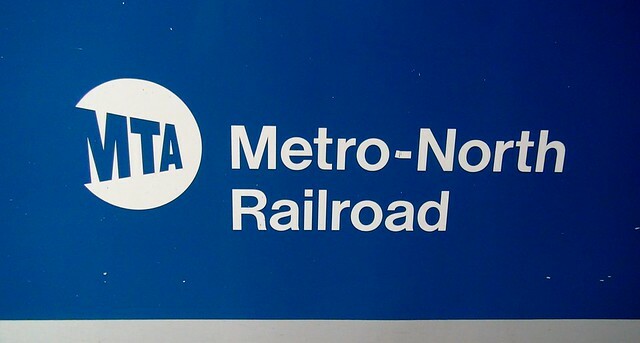 Changing from Metro-North to NJ Transit was like being traded in mid-season to a playoff contender. I had to get used to a new offensive scheme with new coaches and teammates. I was determined to make a successful transition with no rookie errors. To prepare myself for the ride from Suffern, NY to Midtown Manhattan, I transformed into Peyton Manning studying game film. I immersed myself in timetables, transfer schedules, and alternate routes. With only a few games left in the season, I would do whatever was necessary to get an edge on my next opponent. Nothing was left to chance. Here’s an overview of my punch list. Dry run to the NJ Transit station at Ramsey-Rte 17. CHECK. It's a good thing I did this. The traffic signs are written in a language that can only be described as “Jersey-ese,” and it took some studying to absorb their meanings. I scouted the parking garage and found the ticket machine on the far platform. Compute monthly/daily/weekly parking and ticket options. CHECK. And a rather large check at that. $44 for parking, $236 for a combination of weekly and daily passes. Good thing I had Stephen Hawking on speed dial to help with the calculations. It's a tidy $280 for 11 round trips. Find the trains with maximum ONT. UNCLEAR. Just like football, train commuting has its own lingo. ONT, or Optimum Nap Time, is a critical metric that I look to maximize. 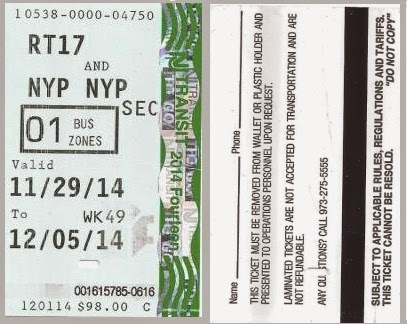 The 7:18 is a 44 minute trip with a train change, a four block walk out of Penn Station and two stops on the subway. The 7:37 is a quicker ride in, but most likely would net me zero sleep since it's a more crowded train. Finally, it was game day. I put on my pads, uniform, eye black, and helmet. I left for the station at 7:02. I parked, walked to the far platform, bought my weekly pass, turned around, and saw the open doors of the 7:18 in front of me. Like a quarterback hitting his receiver in stride, I pounced on an empty 4-seater as I boarded. First down! I looked for a high-five from the conductor. I led my new squad to victory. Let’s celebrate. Time for a nap!!! I’m a pro, or so I thought. At the Secaucus transfer, riders pass through turnstiles on their way to the NYC bound tracks. You insert your ticket into a slot, and it comes out the other side as the turnstile unlocks. Every train ticket I have ever seen has an arrow on it so you can tell which way to insert. Well, guess what? Weekly NJ Transit Rail Passes do not. I tried every direction…twice. I was holding up the line behind me and was forced to ask for help, the commuter version of throwing a “pick six.” Suddenly, Peyton Manning became Geno Smith. Do you see insert directions anywhere? The woman behind me slid the ticket in the correct way and the gate opened. I thanked her and was on my way. As she raced past me, I am certain I heard her mutter "rookie" under her breath. Like Geno Smith, I'm just thankful for the opportunity to learn. Unlike Geno, however, I probably will. Thanks Marsh, for sharing your commuting story. The fans are rooting for you to succeed, don't listen to the boos. Do you have commuting stories? I want to hear them! Share them with me at thetrain.invain.829@gmail.com, or post on Facebook or Twitter with hashtag #TTIV. Marsh did a good job with this one.